Is prepaying your Loan Against Property a good idea or bad? Home Finance Is prepaying your Loan Against Property a good idea or bad? Loan Against Property (LAP) or mortgage loan is availed by keeping your property as a mortgage with the bank. The loan is given as a certain percentage of the market value of the property. Banks generally lend up to 50% to 60% of the value of the property. But, the monthly instalments can add a huge financial burden on you. Hence, you may find it beneficial to prepay the loan as and when surplus funds are available with you. You can apply loan against property. 1. Savings on interest payments:Making payments prior to the expiry of the loan’s due date can help you save more on interest payments. By taking a loan for a longer tenure, you actually pay almost 20% more than usual. So, the ideal thing to do here is prepay your loan as soon as possible so that you do not have to waste money on high-interest charges. 2. Financial freedom:By getting rid of your debt in a shorter time, you will be able to enjoy complete financial freedom. Your savings will increase and you can invest in new assets. Moreover, you don’t have to worry about paying EMIs. 3. Ownership of property: Even if you take the loan at a lower interest rate, the property that you have pledged as security will be at stake till the time you pay off your debt. It means that you will not be able to enjoy the complete ownership of the property for a long time. By prepaying the loan, you can enjoy the ownership of your property and can also enjoy the assured returns on property that happens each year. 4. No prepayment charges: If you opt for a floating rate mortgage loan, you are not required to pay any prepayment charges. Hence, if you have extra savings, you can opt for prepayment. 5. Effect on credit rating: Prepayment of an ongoing mortgage loan will not have an immediate effect on your credit score, but in the long run it will definitely shore up your credit rating. It also reduces your total loan burden, which in turn increases your eligibility for other loans. However, it is important to understand that many banks have a minimum lock-in-period on mortgage loans, before which a borrower is not allowed to repay the loan. Further, many banks may also charge a penalty on pre-closure of fixed rate loan against property. Prepayment and preclosure charges on mortgage loans can vary between 3-5%. 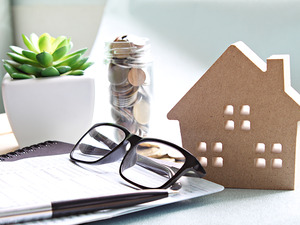 The bottom line: Prepayment on a mortgage loan can be a good idea if you make it during the initial stages of the loan or as soon as the lock-in period ends. In case your bank charges penalty on prepayment, it is better to compare the amount you save with the cost of pre-payment and then proceed. It is advisable to discuss the terms of the prepayment with your lender before sealing the final deal. Kim Hanieph born on December 4, 1980, in California. She loves to share her knowledge and experience with her friends. She has an experience of more than 5 years in writing & blogging.